Anyone who’s spent time around Lake Tahoe in summer knows that the lake is where the action is, be it a beach day or boat day on North America’s largest alpine lake. But you probably also know how busy Lake Tahoe can get during the summer. And for that reason, some of my favorite Lake Tahoe views during summer are from the trails high above the lake. So in my latest Lake Tahoe summer post, I share a few of my favorite hikes with a view around North Lake Tahoe. Tunnel Creek Trail, near Incline Village, goes by different names for different people. To some, especially mountain bikers, it’s the Flume Trail, and to others, a connector for the Tahoe Rim Trail. Yet no matter what people utilize the trail for, there’s no denying that it affords some of the best views of Lake Tahoe. Starting at Tunnel Creek Café, the trail immediately starts to climb, and as it does, the sweeping views of Lake Tahoe get better and better. My recommendation for hikers is to then take either the steep or more moderate main trail up to Monkey Rock, which may just be my favorite overlook in all of Lake Tahoe. All told, the hike can be done in 2-3 hours round trip, largely depending on how many photos you take. As the name presumes, Stateline Fire Lookout hiking trail is located on the California/Nevada border near Crystal Bay. However, it should be noted that this is less of a hike on traditional trail surface and more of a moderate, steep walk on pavement to the old fire lookout at the top. Being just about a mile and a half round-trip, this is a great family-friendly hike, ending at one of the best overlooks of Lake Tahoe. Bonus points that it’s also a dog-friendly trail. I highly recommend arriving early, especially on weekends, since there’s limited parking at the trailhead. Located near Mt. Rose, Tamarack Peak is an iconic North Lake Tahoe peak, standing in the shadow of some of the area’s tallest peaks at nearly 10,000 feet tall. The route to Tamarack Peak starts at the Mt. Rose Trail parking lot, and then offers a couple different routes to the top varying in steepness and length. The steeper, more straightforward routes are a couple miles to the top, while the more moderate routes add approximately another mile to the top. Summiting Tamarack Peak comes with the reward of expansive views of Lake Tahoe, the Lake Tahoe Basin, and beyond. If you want a more proper, longer distance hike, then opt for the Mt. Rose hike. For expansive views of a different variety, just north of Lake Tahoe, in Truckee, is Donner Summit, where I’ve hiked more than anywhere else in the region. What stands out about the trails around Donner is the diversity of views and experiences. 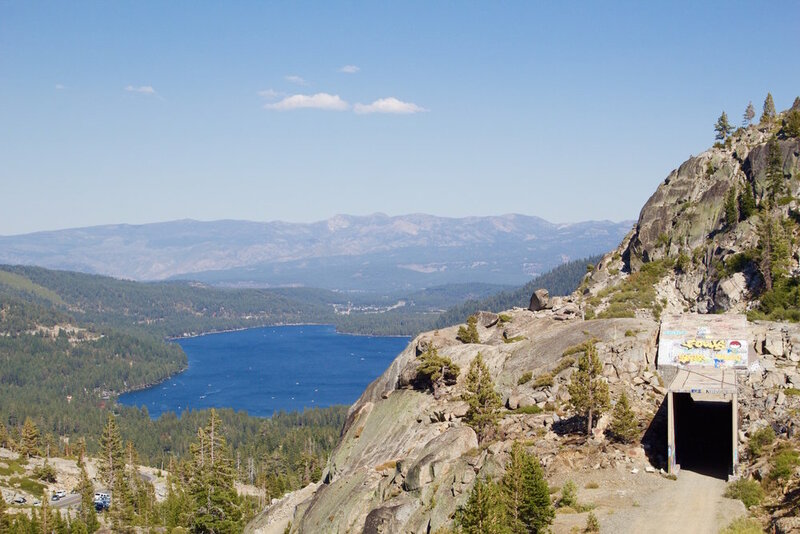 A day spent hiking around Donner Summit can include everything from hiking portions of the Pacific Crest Trail (PCT) to exploring the infamous abandoned Donner tunnels to viewing petroglyphs to beautiful, unobstructed views of Donner Lake. Plus, the area is home to some of the best rock climbing around Lake Tahoe. My recommendation would be to park off the side of the road, just above Donner Summit Bridge, but before Sugar Bowl Ski Resort, and take the PCT either south, toward Lake Tahoe, or north, toward I-80. Featuring a more unique, exclusive hiking experience in North Lake Tahoe, Northstar California offers lift-access hiking during summer. 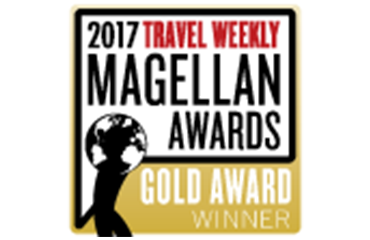 This includes access to a number of hiking trails, many of which are family-friendly. Watson Lake Loop is one of the longer hikes, a 6-mile hike that begins at the Tahoe Zephyr lift, with 1,000 feet of elevation gain and a portion along the 165-mile Tahoe Rim Trail before reaching Watson Lake. For families, or those new to Northstar, the resort offers guided hikes daily, as well as a number of different private guided hikes.